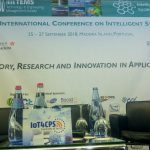 The IoT4CPS project was represented at the 9th International Conference on Intelligent systems “Theory, Research and Innovation in Applications” in Funchal, Madeira, on 25th – 27th September 2018 (http://www.ieee-is2018.com/). 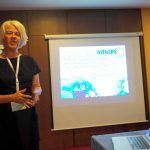 The IoT4CPS paper “A Digital Twin-based Privacy Enhancement Mechanism for the Automotive Industry​” was presented by Violeta Damjanovic-Behrendt from Salzburg Research, as part of the session on Decision Support Systems. The paper discusses a Digital Twin demonstrator for privacy enhancement in the automotive industry, which is designed to simulate variety of conditions that can occur in the smart car ecosystem.